Holo Launcher, Nova Launcher and ADW Launcher are among some of the best Android launchers available in the Google Play Store. They offer great features and are highly customizable. A new launcher for Android is now available in the Google Play Store and offers some unique features while being highly customizable at the same time. Atom Launcher is an incredible new launcher which is designed to improve the performance of all Ice Cream Sandwich firmwares. 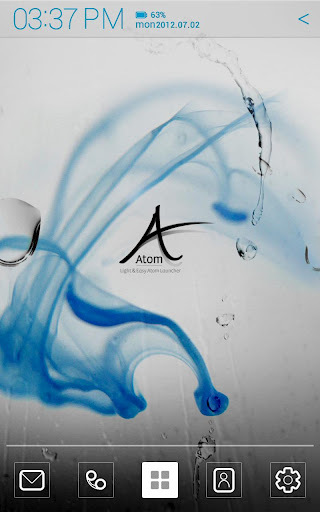 Unlike other top launchers, Atom Launcher is extremely easy to use and is very light. Probably the best thing about the launcher is its support for themes. The launcher comes with 10 amazing themes, each theme having unique icons and backgrounds. Apart from basic themes, the launcher also offers all the standard features of a decent Android launcher with various app drawer settings including different sorting lists, dock display settings including various shades, textures and switching display between different home screens. Atom Launcher also supports all the widgets of stock ICS. Atom Launcher usually displays an arrow on the top right corner of the screen, whether you are on the home screen or the app drawer. 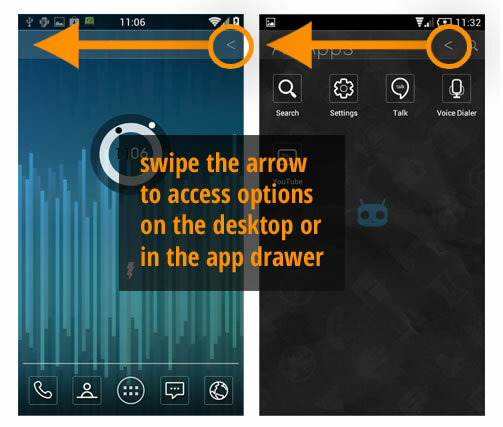 When you slide the arrow to the left, the launcher will display additional options in the app drawer or the home screen. If you want more customization, then you can use the Atom Store, which is now Live on the Google Play Store. Basically, Atom Store is specifically designed for custom user themes for the Atom Launcher. You can buy and download themes, lock screens and icon packs for the launcher. Apart from the Atom Store, the launcher also supports SSKING and Go Launcher themes. Atom Launcher needs around 10 MB of free space on the device and a minimum Android version of 4.0.2. If you are running ICS on your Android smartphone, then you should definitely check out this particular launcher. 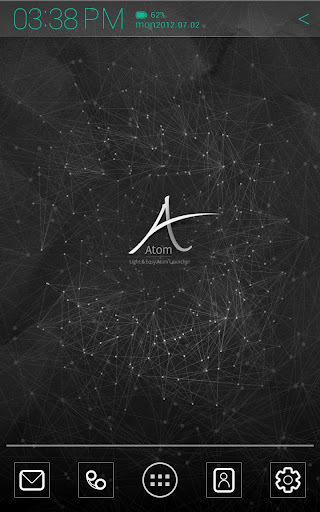 Atom Launcher is available for free download here and you can download the Live Atom Store here.